Today we're participating in the writing process blog tour. It's kind of like a chain letter for bloggers where we each answer the same three questions and then pass along the torch to a few more bloggers (and so on and so forth). We were tagged by our pals Sandra and Dolly at Dolly the Doxie, the terrific blog about Dolly's adventures in the city that's just undergone a huge transformation. We met Sandra and Dolly for the first time several years ago during one of our Chicago trips when her blog was pretty new. Now, Dolly the Doxie has grown into a professional resource for dog lovers who are looking for information on keeping your dog active, pet health and safety, what's hot in the pet industry and great reviews and giveaways! They've been busy, even in spite of Sandra's recent back surgery! Go check them out! Now, let's get on with the three writing process questions! 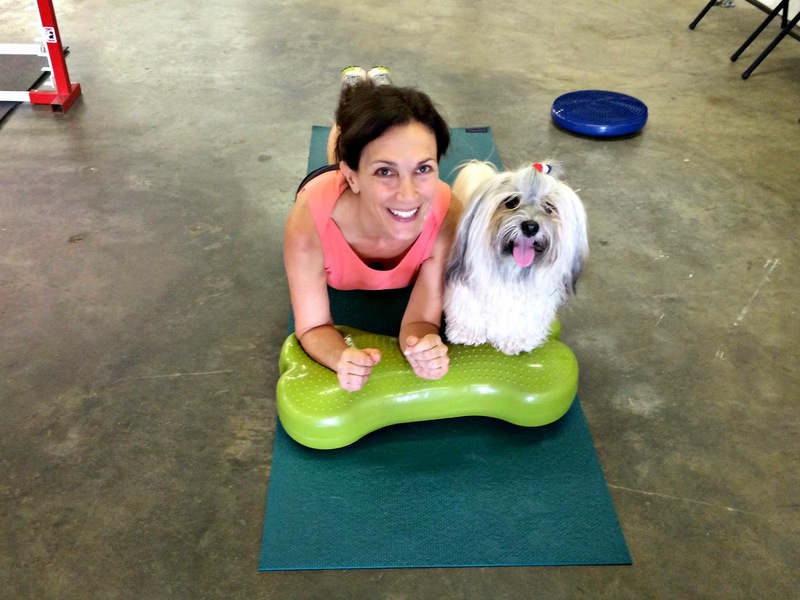 I've been a participatory sort of writer for years, and my latest endeavor is becoming a certified K9 Fit Club instructor and teaching K9 Fit Club classes, a workout you can do with your dog so you both stay healthy and fit together! You can plan to see more active dog stories and workouts on To Dog With Love as well of lots of great giveaways too. I'm more about doing than writing, and even when I worked as a reporter and more recently a public relations professional, I've most enjoyed the activities that I can participate in and then write about. I'm a bit of a George Plimpton type -- a participatory journalist. My process has changed over the years as my body of work has changed. I started my career as a sports writer at a daily newspaper. A professional photographer would be assigned to shoot the photos and I was responsible only for the words on page. While the digital world has turned things upside down, some things HAVE stayed the same. I still brainstorm while I'm walking, or working out, or showering… or pretty much doing anything except sitting in front of the computer. Now my photos or videos often take the lead and the words follow. I may write a story in my head while I'm taking the photos, and then assemble the story around the visuals. The two terrific bloggers I'm tagging for The Writing Process Blog tour are Christina at The Lazy Pit Bull and Morieka at Soul Pup. 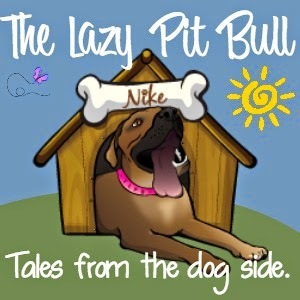 Christina is the creator of the Lazy Pit Bull, where she supports shelter and rescue adoption and also writes about pet health and wellness, nutrition, safety, training, and lifestyle. What many people may not know is that Christina also blogs about food, travel, wine and more at From the Berry Patch, and she's also a Social Media Manager and Virtual Assistant for bloggers, handmade shop owners, and small businesses. Morieka also is a former journalist and fellow Atlanta blogger so we get the chance to meet and chat about lots of great blogging ideas. Soul Pup is packed with lots of great information about health, training and great gear for dogs. We hope you'll check out both of these terrific blogs! Our pleasure! Hope to see you in Chicago! Wow a Sport's Writer. We are impressed. Nice reading all about how you write. Have a wonderful Wednesday. Molly, I have good stories from back in the day! hehe! It's so interesting to see where people started and what they are doing now =) That is so awesome about the K9 Fit Club Instructor! That's been added to my To-Do Bucket List now! We had no idea you were a journalist! That is pretty neat. Thanks for sharing your writing process with us! K9 Fit Club - I love that! I look forward to reading your active dog stories/workouts in upcoming posts.